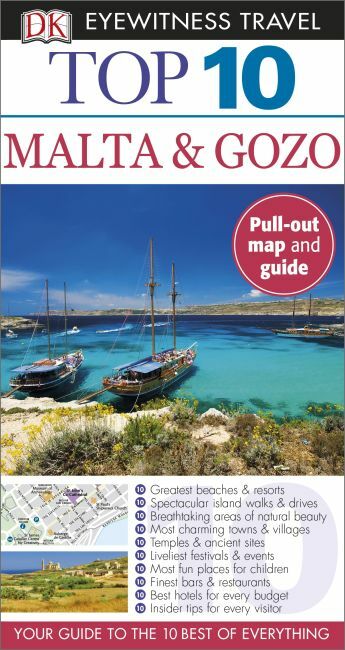 Make the most of your trip to Malta and Gozo with our Top 10 Travel Guide. Take spectacular island walks and drives to experience the area's natural beauty; tour charming towns and villages, or visit fascinating temples and ancient sites. YourTop 10 Travel Guide can help you find a hotel on any budget, and gives fun ideas for experiencing Malta and Gozo with families and children. Enjoy every bit of your Mediterranean vacation with a travel guide that's packed with great ideas and insider tips.